Having never been to Mexico, I can’t tell you with absolute certainty that La Vallesana has the most authentic tacos you’ll find in St. Louis. However, I can tell you that they have maybe the most delicious tacos in St. Louis. Sitting in a temporary store front on Cherokee Street, La Vallesana is one of the best places to get Mexican food in the city. 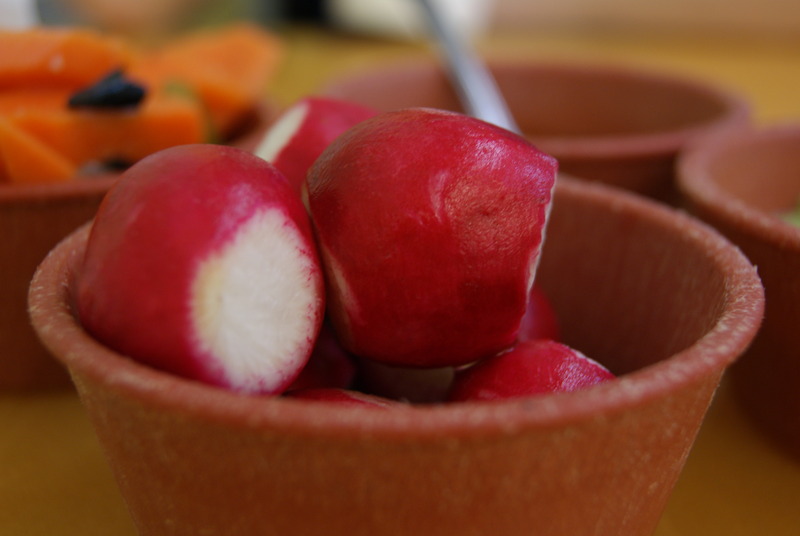 You won’t be delivered chips and salsa upon arrival – instead a mixture of pickled carrots and beets is accompanied by some of the hottest salsa to ever hit my mouth. Other than the fantastic Chorizo tacos sprinkled with a bit of fresh cilantro and a squeeze of lime juice, my favorite thing about La Vallesana is the Coke in bottles. 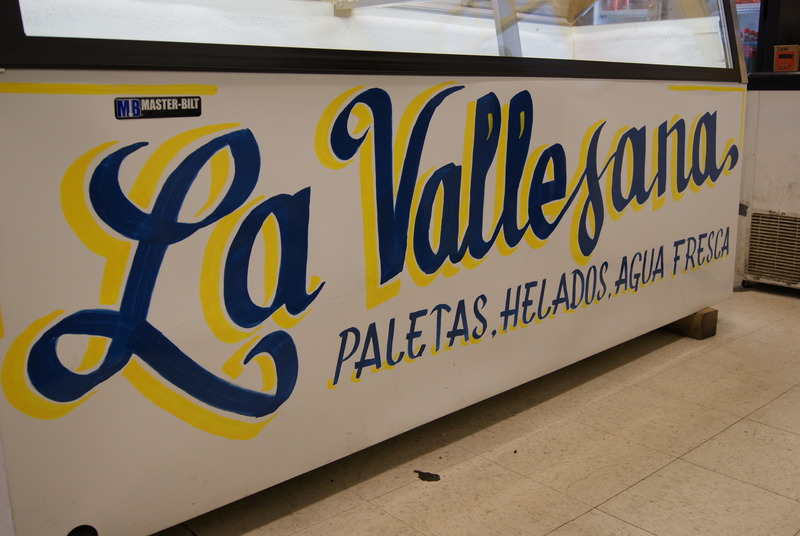 While they rebuild the restaurant on the corner of California and Cherokee, the space currently being used to house La Vallesana is actually an ice cream shop. Owned by the same people, the shop offers a variety of homemade frozen treats. My favorite is the Strawberries and Cream popsicle. Next time you’re in the Cherokee neighborhood stop in for some tacos – it will probably be the tastiest thing you eat that day. Thanks for another tip on some good tacos. I am also a fan of Flacco’s in U City (they have a lunch Taco Tuesday special) and I will be trying Pueblo Solis this week! Pueblo Solis is great you will enjoy it! Their tacos are amazing and they have great salsa and amazing margaritas!! Ahh I’ve been meaning to try Mexican on Cherokee street for forever now! These pictures have convinced me that I MUST go in the next few weeks! and I must agree the commenters above–big fan of the margs at publo solis and the tacos at flacos are pretty good too! LOVE it there! I am really really sad they are renovating the old building though. Anyone familiar with Cherokee knows Vallesana by their little aqua blue building and patio…. and now they are painting it white/tan. Sad face. I liked how out of the ordinary it was! I’ve been there once and it was fantastic. I loved the chorizo, but the al pastor were my favorite – I think pineapple made an appearance? 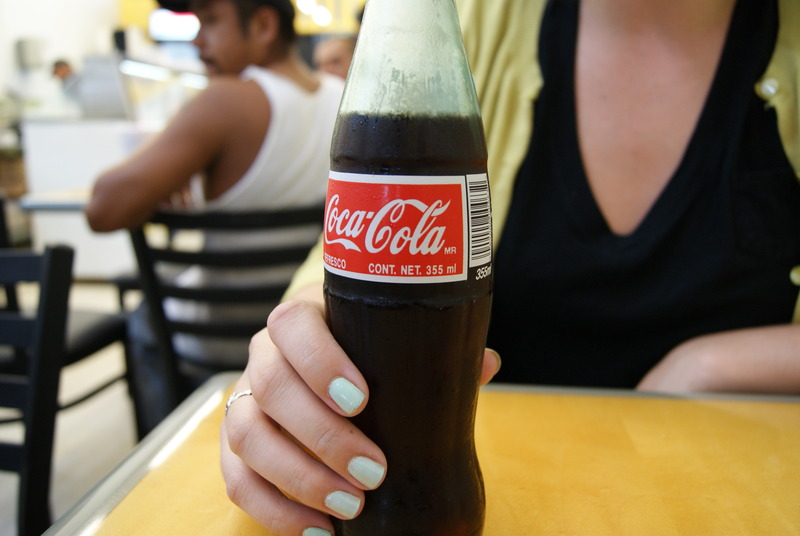 The Mexican coke is a must! Having lived in El Paso for a year and a half, this place seems very, very legit. Not too much quality, authentic Mexican food in the Lou?